No, this is not going to be about the financial state of Birmingham City F C; it’s just some thoughts on the gap between the haves and the have-nots in football and in the world in general. I had a chance to look round the VIP area at St Andrew’s when I went there for the coffee and cake event in aid of Macmillan Cancer Support. I saw the lounge where the owner could relax, with his picture hanging on the wall and the posh toilet. I wasn’t too keen on the idea of having a BCFC logo on the floor of the posh loo (stepping on it would feel wrong) but apart from that design detail I’d much prefer it to the ones I normally use at the ground. And those are far better than some I’ve used at other grounds; most travelling football fans will probably have seen some pretty lousy loos. The gap between VIP and ordinary fan is wide but not as wide as the gap between the ordinary British fan and the 2.5 billion people in the world who don’t have somewhere safe, clean and hygienic to go to the loo. They have to use fields, streams, railway lines, canal banks, plastic bags or buckets. Bad sanitation is one of the world’s biggest killers. The lack of loos leads to other problems as well as disease; people get bitten by snakes as they squat and women are the target of sexual attacks as they walk to the edge of their villages late at night. Last Friday, the sixth form at King Edwards put on a charity concert in aid of Toilet Twinning, a brilliant organisation who helps in the fight against disease and poverty by providing basic sanitation and clean water. I’ve been a supporter of this cause for some time but the concert reminded me of the need and inspired me to spread the word. Hence this post. If you want to find out more, head over to the Toilet Twinning website. And if you’re just looking for a way to waste time, under the Fun stuff tab there’s a game where you have to connect the pipes before the toilet flushes. 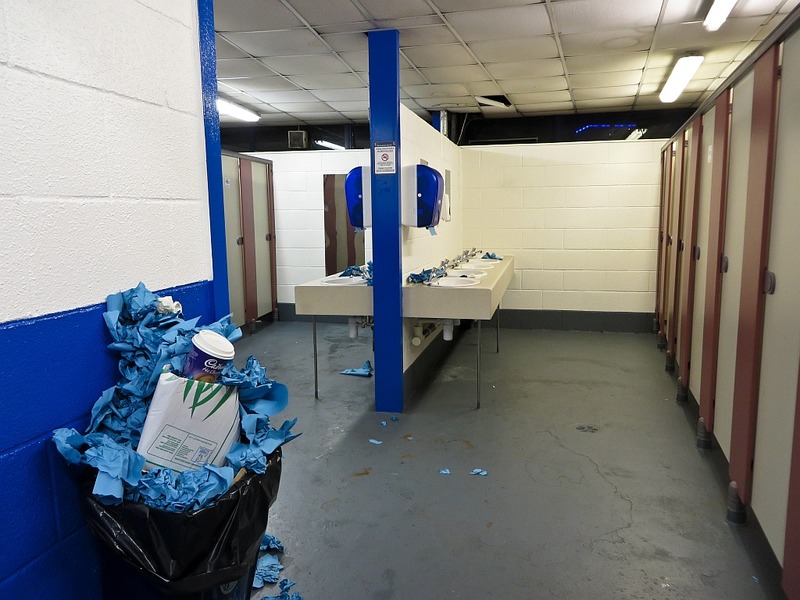 This entry was posted in Birmingham City FC, Football, Life in general and tagged Birmingham City F.C., Football, Toilet Twinning on November 26, 2013 by Puddleglum. When you compare the plight of the ordinary Bluenose to those of the worlds poorest (Well over 50% of the world’s population survive on less than 60p per day), it really does put our current plight into context. It also makes you wander sometimes with all the calls to action and protestation, that this angst could be channelled into supporting those less fortunate. I think that this season, the money has been banked and hence boycotts would be fruitless. I do think however that this is the season that broke the camel’s back and if there is not a quantum movement on the financial front, then long term season ticket holders will vote with their wallet and in significant numbers. Howsabout some of those fans spending their saturdays by helping the Birmingham Homeless who our city council pretend do not exist. PS lots of Christmas shelters need support and some of them are working well into the winter!! Keep Righ On!